For some reason I had the book Rosalind Franklin: The Dark Lady of DNA , by Brenda Maddox, unread on my bookshelf, I’m not exactly sure how it got to be there. I had heard of Rosalind Franklin, and the opinion that she had been robbed of a Nobel Prize. I gladly took the chance to discover much more about her. The book is a biography of a woman best known for her enormously important contributions to the discovery of the structure of DNA and RNA. A woman struggling with institutionalized sexism in post war Great Britain, yet highly regarded in the UK and overseas for her work with coal, graphite and X-ray crystallographer. A woman with a brilliant mind, who was apparently not even annoyed after Crick and Watson so obviously borrowed her work, leaving her to play second fiddle to them with a discovery which was entirely hers. The book is divided into three parts, the first covering her family’s roots from Breslau (Wrocław, Poland) and their establishment in the UK. This establishes a context for Rosalind’s life and breakthrough into the male dominated scientific world. It proceeds to tell Rosalind’s story from birth, school, into academia through-out the Second World War, up to the point that she has made a success of herself in the UK and France, in her coal and graphite research, and decides to re-establishes herself in London at King’s College. Part two mostly covers her work on DNA and her troubled times at King’s. 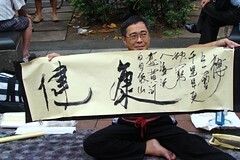 And although not a highly scientific look at the process in which DNA was discovered, most informative to a layperson. The final part starts with her move to Birkbeck College, her work on RNA and plant viruses, and travels round Europe and the United States for lectures, research and to make contacts. Maddox does explain that Rosalind’s untimely death was almost certainly the reason she didn’t get the Nobel Prize, as the rules of the Nobel Prize forbid posthumous nominations. A sad tale, and fantastic read. I was standing in a secondhand book store with my father, and we wandered round browsing when I spotted Jonathan Margolis’ The Big Yin , he told me I should get it and read it. 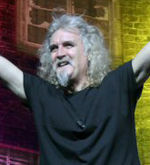 The Big Yin is the biography of Billy Connolly, a Scots comedian, musician, presenter and actor. The book is almost as funny as Billy, and tells the story of a boy who followed his dream to be a musician, and discovered he was better at talking in between the songs. A man accused of selling out, but following his dream to Hollywood fame. A great book about an inspiring man.